Snow, rain or shine, we’ve been sifting soil, measuring slow-release fertilizer, planting and sprinkling on all those beneficial living organisms that help keep our plants healthy. It’s quite a bit like cooking. We’ve also been carefully removing blossoms on precocious plants so they can put their energy into growing up first. Mailerlite is being really slow for uploading pictures today, so if you want to see what we’ve been up to, click here! For an early preview of this season’s new annuals, join me at Amherst Garden Club’s evening meeting on Thursday, April 5 from 7-8:30 p.m. 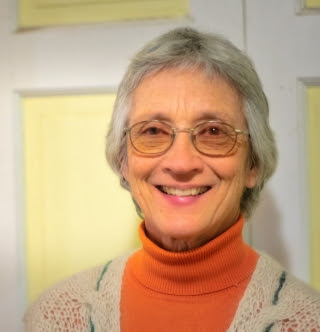 The Amherst Garden Club has invited me to present a slide show of exciting new annuals for this season. The program is free and open to the public. 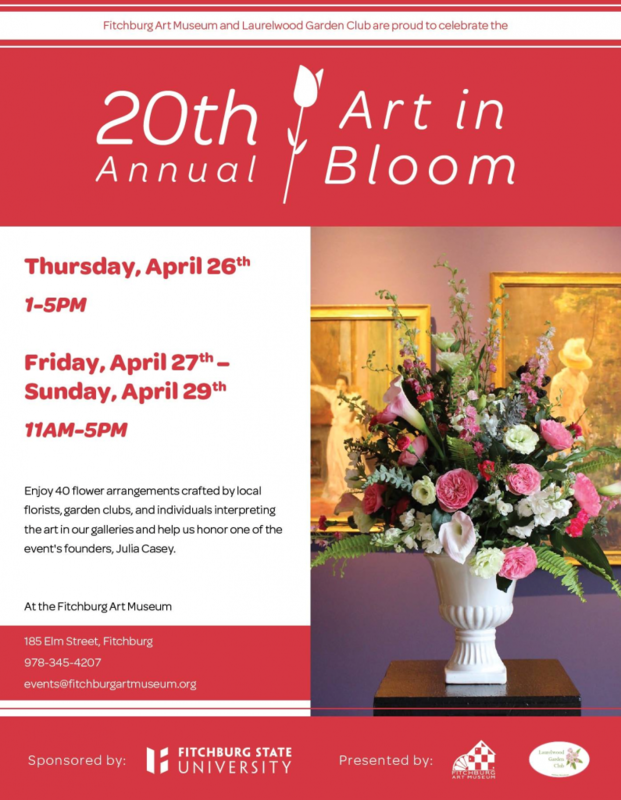 Another event we’ve been invited to participate in is Fitchburg Art Museum’s “Art In Bloom” program. We’ve selected a painting to interpret with one of our combinations. Here’s hoping everything grows up in time because it is EARLY in the season! It runs Thursday, April 26 through Sunday the 29th, with a champagne reception the evening of Friday April 28. 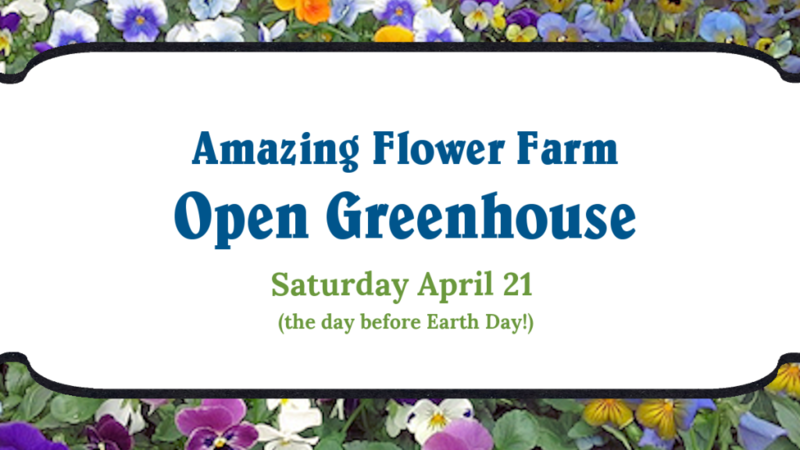 And be sure to mark your calendars for Amazing Flower Farm’s main event, OPEN HOUSE! We will hold Open House from 10-4 on Saturday, April 21, the day before Earth Day. If you’ve filled out a plant card within the last three years you’ll be receiving a post-card invitation in the mail to remind you. Bring us a new customer and we’ll give you an extra credit on this season’s Plant Card. Finally, now that we’ve figured out how to keep Facebook updated somewhat during the season, we’re going to try to do the same with Instagram. On a personal note, thank you for your prayers, I am doing great after last spring’s chemo and summer’s radiation. There is no sign of breast cancer. 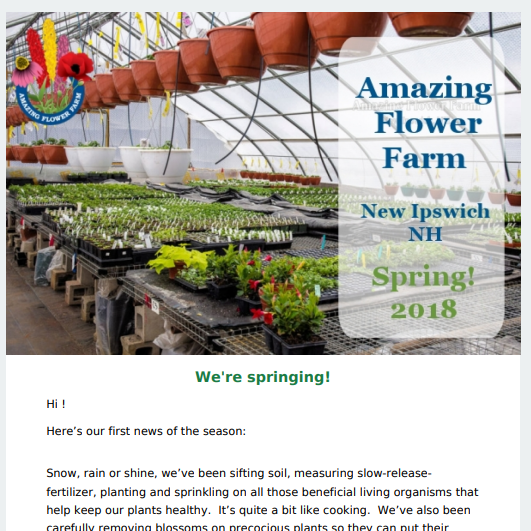 So I survived and Amazing Flower Farm survived—in fact, Amazing Flower Farm is better than ever because I have learned how to delegate to my wonderful staff. There is one more person I consider a member of the Amazing Flower Farm team who could use some extra prayers. 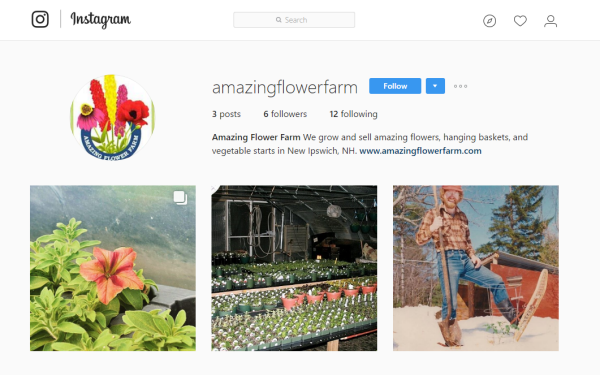 Benjamin Tenney helped build Amazing Flower Farm. He survived a brain tumor as a child, graduated from Mascenic High School in the former Building Trades program and became an excellent electrician. After 30 years, he developed a radiation-induced tumor in his skull, and is now starting a grueling chemotherapy regimen. Ben is strong, has a great attitude (he beat it once, he can do it again) but it is a daunting challenge and all prayers are greatly welcomed. 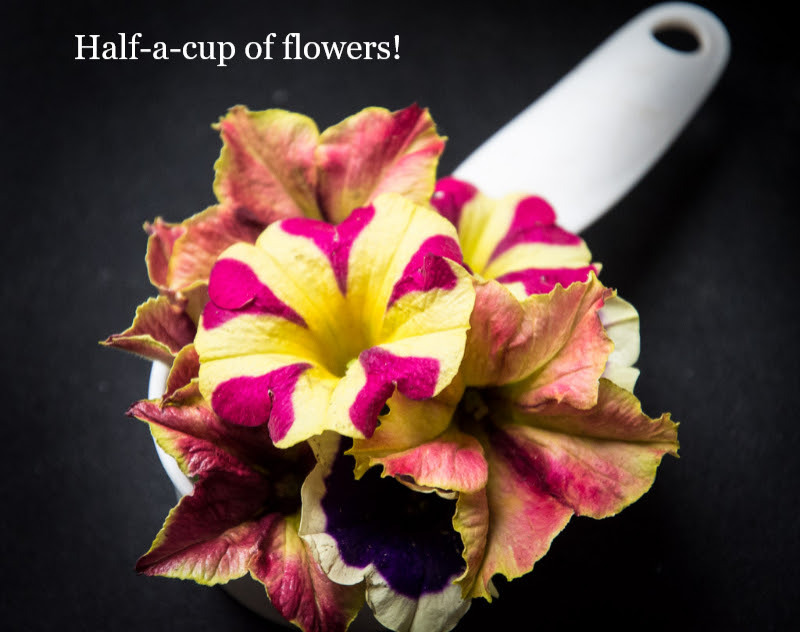 Thank you all for your support and we are looking forward to spring!